Personal Health Choices is an annual publication. It is a five year overview of the top 75 health conditions (selected by volume and interest). It is valuable as a trend analysis study. All acute care hospitals are displayed along with case count, length of stay and charge information. The standard reports provide fundamental statistics on hospital discharges. There are six report types. Each report displays a count of cases and the summations and averages for length of hospital stays and charges. On an annual basis the National Centers for Medicare and Medicaid Services (CMS) creates a Fact Sheet that contains coding specifications for preventable conditions (also called Hospital Acquired Conditions (HAC)). The Center for Health Information Analysis (CHIA) analyzes the acute care hospital patient billing discharge data for each year and extracts all the PPCs at the facility level. These events are distributed to the corresponding facilities. The facilities have 30 days to review each event to determine if it was coded correctly, or if extenuating circumstances exist that invalidate the event. CHIA may remove events based on this 30 day review. The remaining events are posted to the website. It is impossible to prevent all readmissions to a hospital, but some are preventable. The PPR reports only display preventable readmissions. When viewing the PPR reports on the Nevada Compare Care website, the Definitions tab of the report provides information to help understand the various fields. During the calculation of the PPRs the first step is to remove all records that contain patient conditions for which readmissions are not preventable. A couple examples are severe burn cases and serious kidney conditions. More information on this topic can be found in the Exclusions tab of the report. The second step is to count the admissions for the remaining preventable conditions. This number is divided by the number of At Risk cases to create an Actual Rate of PPRs. 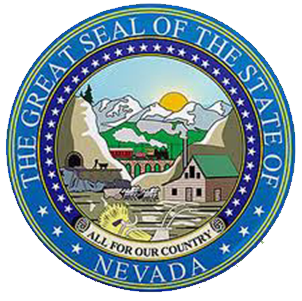 This rate is adjusted for the age of the patient, the mental health status, the severity of the patient, and the overall average for Nevada. These adjustments create a Risk Adjusted rate. This Risk Adjusted rate can be used to compare the rates of preventable readmissions between facilities. The NHQRs are a set of reports that present summary financial and utilization information for many (250+) of the health facilities in Nevada. The types of facilities include acute and non-acute care hospitals, ambulatory surgical centers, skilled nursing facilities, hospices, and imaging centers. The reports display quarterly summaries. The financial reports provide information on revenues, expenses, assets, and liabilities. The utilization reports display admissions, days, procedures, and occupancy rates by various breakouts.